Although pregnancy and child-rearing can be some of life’s greatest gifts, many new moms have trouble getting their bodies back to their pre-motherhood figures. At the Plastic Surgery Center of Austin, Drs. David M. Mosier and Steven Holzman offer the Mommy Makeover procedure; a custom-tailored combination of procedures designed to address a number of aesthetic issues and geared toward restoring your body and your self-esteem. Contact our office if you are interested in learning more about Mommy Makeover, or if you would like to schedule a consultation. 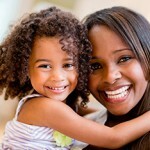 Contact us today if you have any questions, or if you would like to schedule a consultation for Mommy Makeover.